Selingan island, better known as Turtle island, lies 40km to the north of the city of Sandakan on Sabah’s east coast. Part of Turtle Island Park, Selingan is neighbours with Bakungan Kecil and Gulisan islands, which together provide a refuge for the highly endangered green and hawksbill turtles. Selingan is the largest of the islands in the park. 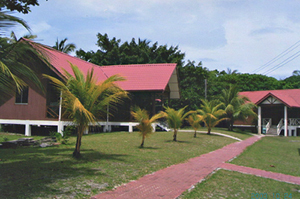 As such it houses the park’s headquarters, a turtle hatchery and basic tourist accommodation and facilities. A unique opportunity to watch turtles come ashore to lay eggs, as well as baby hatchling turtles being released back in to the wild is presented here for tourists. An overnight stay is required as usually the turtles come ashore under the cover of darkness. Turtles lay eggs pretty much throughout the year though, but the best time for land-loving tourist though are from July to October. The seas are calmer then, although this doesn’t bother the turtles much. On the island you can also see the eggs being collected, how the mother turtles are tagged and the release of baby turtles. In our Turtle Field Guide there are plenty of photos of green and hawksbill turtles taken in Sabah waters. Get picked up from Sandakan airport (suggested flight to arrive before 0800hrs) or from your Sandakan hotel lobby at 08:45. Transfer to the Crystal Quest Jetty for an approximate 75 minute boat ride to Selingan Turtle Island. 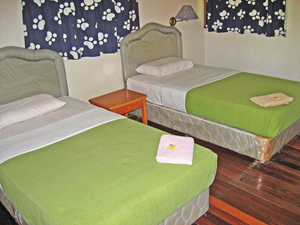 When you arrive on the island, you will your basic, but clean accommodation waiting. Check in to island chalet with attached bathroom. Lunch will be served and then you can spend the rest of the day at leisure. Go for a swim, or snorkeling is also a good suggestion. You can rent equipment from the resort at your own expense. Some turtle action will follow dinner when everyone gathers in the cafeteria to wait for the Rangers. They will call you to witness turtles laying eggs and then you’ll visit the hatchery. You will spend the night in your Selingan Island Chalet. After an early breakfast at 07:30 you’ll take the boat back to the Sandakan jetty. From there a road transfer to the Sandakan airport or to your hotel in Sandakan.